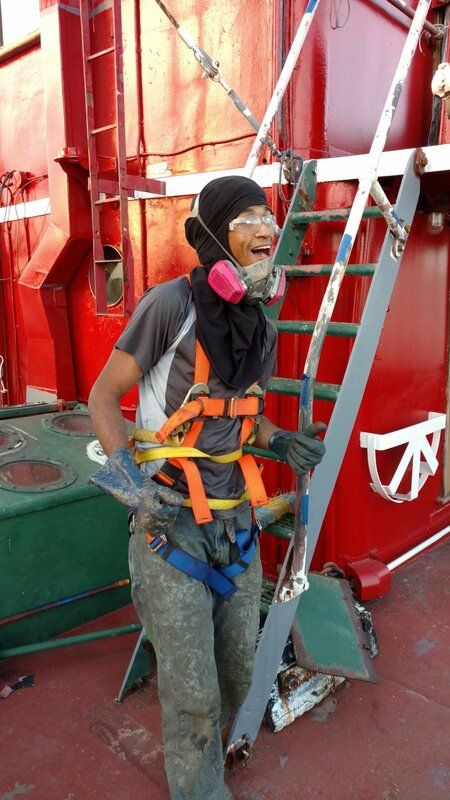 Cold weather has just ended this job training program for 2016, so we are reporting in! 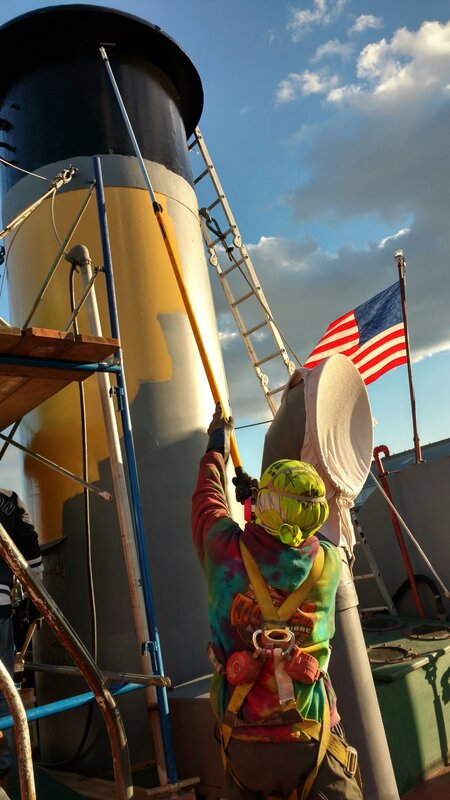 This year our partnership with Local 806, the bridge painters of District Council 9 (DC9) really ramped up. 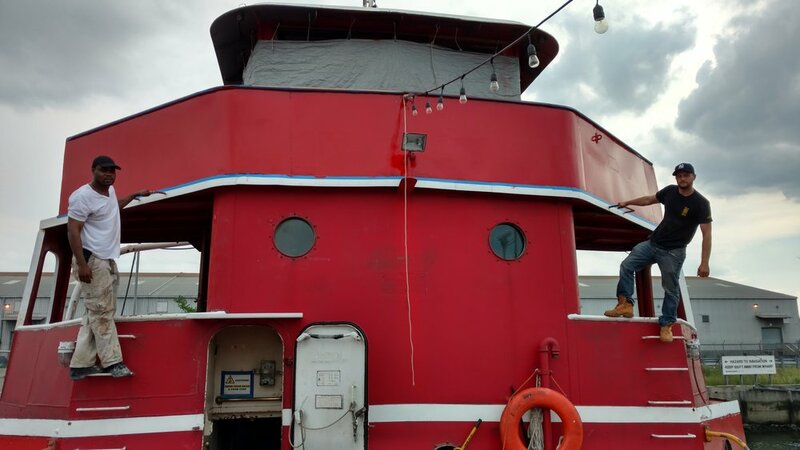 They are using the MARY A. WHALEN as a training site. 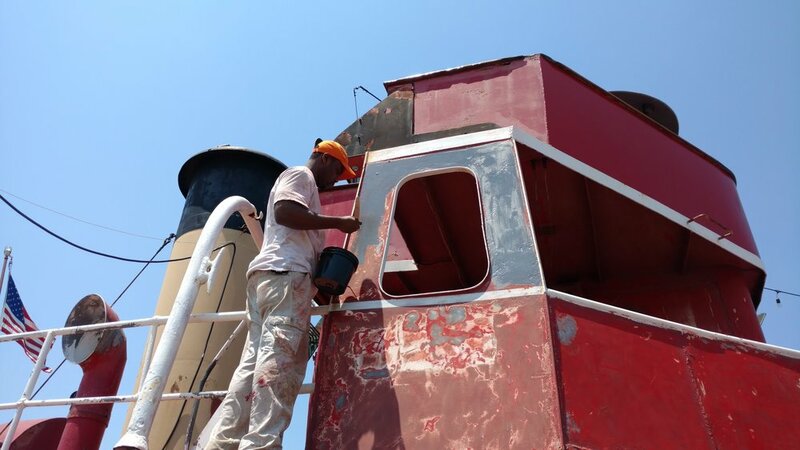 The project is also supported by a generous paint donation from International Marine Paint! 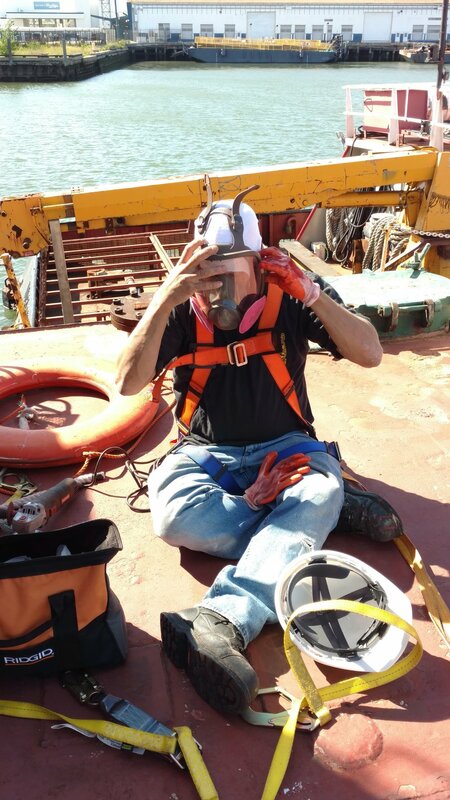 We are glad to participate in training apprentices and get help restoring the MARY in the process. The value of their labor this year is estimated at $64,571. 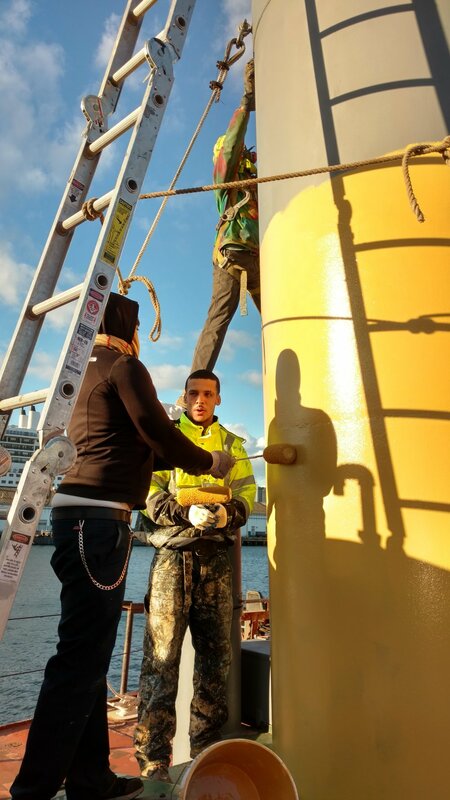 A mix of first, second and third year apprentices have been working on the ship. These jobs pay $19.80 to $39.60 an hour plus considerable benefits. Well over 90% of the apprentices are minorities. In April, DC9 had a statewide day of community action where they donated services to non-profits. We were one of their sites. NY1 covered the event, and our Councilman Carlos Menchaca came by to thank them for their work and support of PortSide. 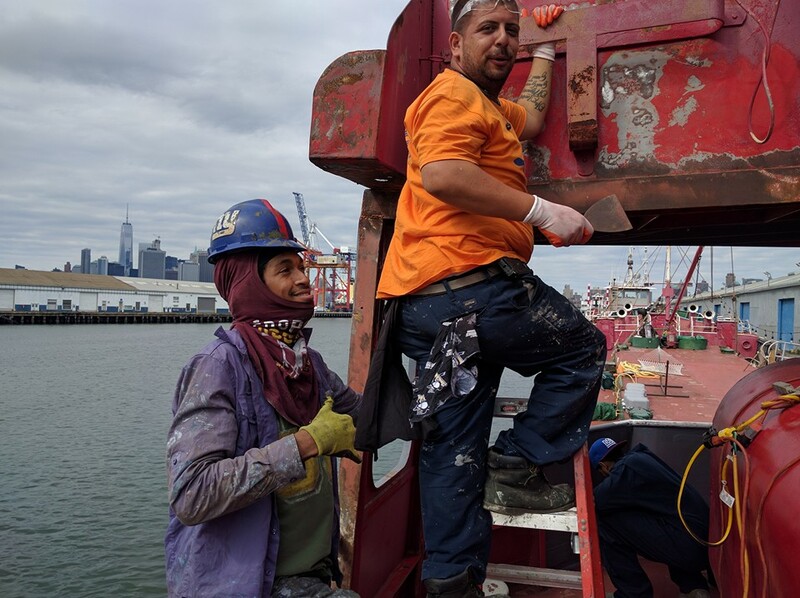 During that day, we learned about the maritime connection to many bridge painters (besides the fact that most bridges are over water). 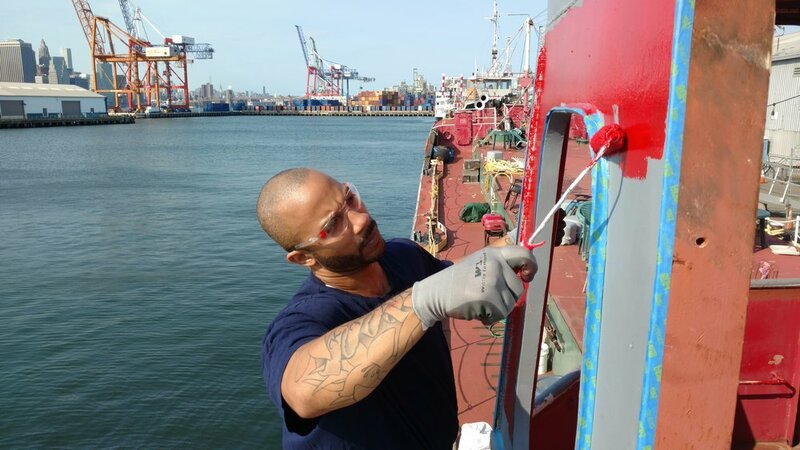 Many local bridge painters are Cape Verdeans who learned about painting and climbing high structures on ships. They emigrated here and as shipyard declined moved into bridge painting. The apprentices were great as temperatures dropped and really poured it on, racing winter weather. They came the night before Thanksgiving, working well into the dark. We learned that bridge painters do a lot of their painting at night, since that is when bridges can be closed to traffic. 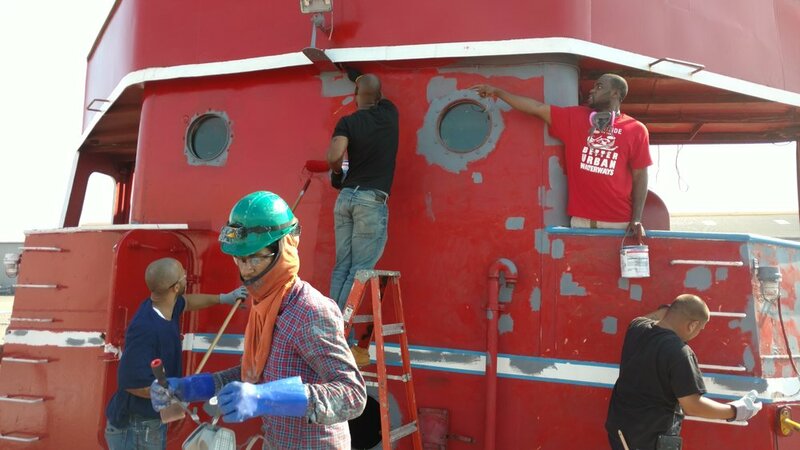 the mary whalen has been transformed thanks to work by dc9 local 806 and by our volunteers!